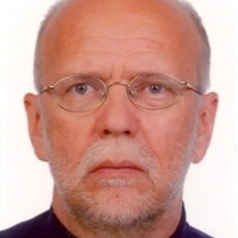 Zbigniew W. Kundzewicz is Professor of Earth Sciences (since 1993) and Head of Laboratory of Climate and Water Resources in the Institute for Agricultural and Forest Environment, Polish Academy of Sciences, Poznań. He is a senior Scientist in the Potsdam Institute for Climate Impact Research (PIK), Potsdam, Germany. He is also a coordinating Lead Author of Chapter 13 (Europe) in IPCC (Intergovernmental Panel on Climate Change) Climate Change - Impacts, Adaptation, Vulnerabilities, Chapter 3 - Freshwater resources and their management, an IPCC Technical Paper on Climate Change and Water; and Chapter 4 of the IPCC Special Report on Extremes. As a result he is part of the inner circle of the IPCC.